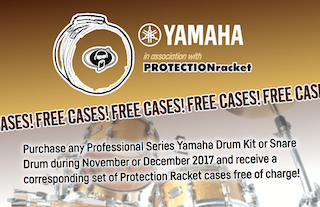 Purchase any Professional Series Yamaha Drum Kit or Snare during the promotional period of November or December 2017 and receive a corresponding set of Protection Racket cases free of charge. Yamaha Music Europe UK is pleased to announce a limited promotion for sales of their award-winning professional series of drums. Teaming up with the world-renowned UK drum case company Protection Racket, Yamaha has created a scheme to provide a corresponding soft case free of charge to protect the new drums. The promotion is valid for Yamaha’s professional range of drum kits and snare drums including Live Custom, Absolute Hybrid Maple, Recording Custom and PHX series. This promotion is held by Yamaha Music Europe GmbH (UK) whose registered office is at Sherbourne Drive, Tilbrook, Milton Keynes MK7 8BL Ltd. 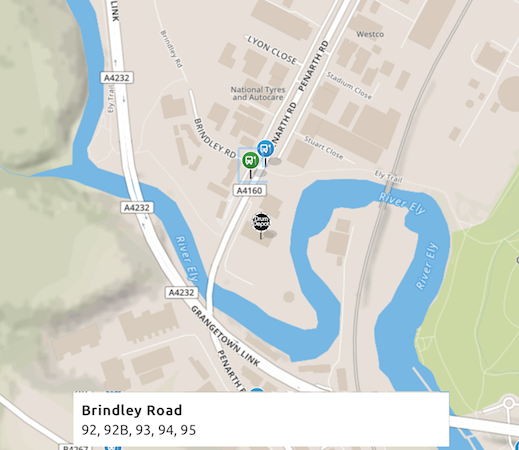 This promotion event is open residents of the United Kingdom and R.O.I aged 18 years and over. The promotion will run from 1st November 2017 to 31st December 2017. After this date no further participations to the promotion will be permitted. 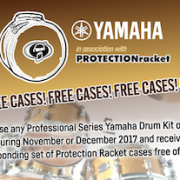 The rules of the promotion and how to enter are as follows: The consumer buys any Professional Series Yamaha Drum kit during the promotion period at a local authorized YAMAHA dealer in UK and receives a corresponding set of Protection Racket cases free of charge. The promotion is valid for Yamaha’s professional range of Drum Kits and Snare Drums including Live Custom, Absolute Hybrid Maple, Recording Custom, PHX series. Any used/display/demo models are excluded. This promotion is only available at retail stores of authorized YAMAHA dealers as long as stocks last. Internet purchases are excluded from this promotion. The promoter reserves the right to cancel this promotion action or change the terms and conditions of the promotion without prior notice. If the consumer makes use of his right to return the product he bought during the promotion because of a failure he will get the purchase price refunded only if he returns the corresponding set of Protection Racket cases he/she got free of charge as well. If the consumer makes use of his short-term right to reject the product he/she bought during the promotion the according to Section 20,22 Consumer Rights Act he will get the purchase price refunded only if he/she returns the corresponding set of Protection Racket cases he got free of charge as well. By entering this promotion, any consumer accepts these terms and conditions. Speak to a member of the DD Crew for more info. Sabian 360 Club – Get a FREE* 16″ AA X-Plosion Crash! Roland TD-11 Prices Slashed!